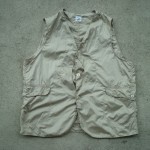 For some reason, there are steadily more chances to wear this G-1 a last couple of years…till now. 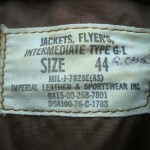 If you are a flight jacket collector, this is a peanut. 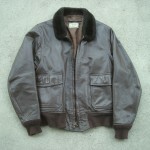 1976 made, fake goatskin (embossed steer hide), synthetic fur collar, and synthetic rib knits. You know, almost all US made products saw their quality declined drastically to the bottom in the 70s. 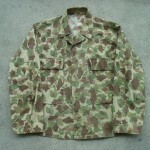 This is exactly same as my first leather jacket I bought at local import shop nearby. 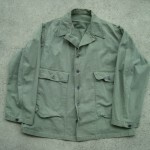 If you are familiar with those vintage goodies, this jacket is a good example of unpopular vintage – poor quality material, no story to tell…..but I like it….why? I like to look at it. 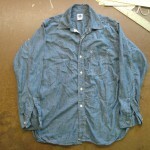 This is my long time favorite vintage chambray shirt. 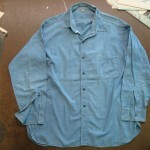 An USVA ( United States Veterans Administration ) issue shirt from 1940s. 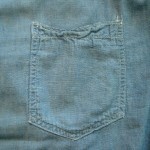 This is my interpretation of the shirt. 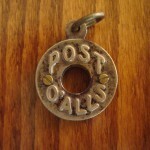 POST O’ALLS #1211 ( late 90s~). 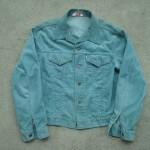 Often feels like this muscat green corduroy Levi’s trucker jacket….yet there are more chances to try it on then take it off….why? 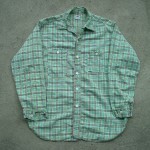 POST O’ALLS cotton ripstop Cruzer. Feels like in between khaki and OD. 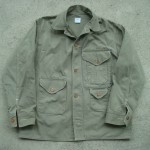 I love this USN version of HBT(herringbone twill) utility jacket/shirt. 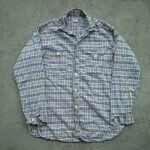 There are frequent chances for this and next older (late 90s) denim plaid shirt from POST O’ALLS these days. Still a frequent regular into fall. 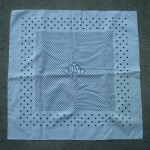 We made this first bandana to come with our merchandise in a stitched cement bag when we started. This practice lasted for a first couple of years. I always liked navy polka dot bandanas – so I wanted to do the reverse. 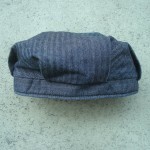 We have this cap from our first season ( FW 1993 ). 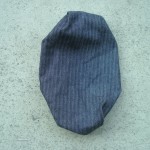 I used to wear those vintage Engineers’ ( or Railroad ) cap with brim cut-off. So I made them without a brim. 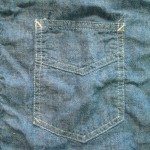 This herringbone denim example is from few years back. We started this series of tote bags around 2000. 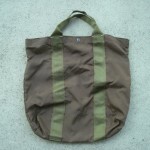 We started because we found a whole bunch of new old stock official US Military nylon webbings – so I design a new tote bag. 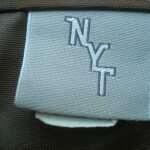 We initially introduced these tote bags under NYT label, but soon we adopted them to POST O’ALLS line. 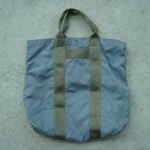 Currently we have only 1 style…but we had a large selection of these military webbing bags in early 2000s. My favorites are short-handled one like these.